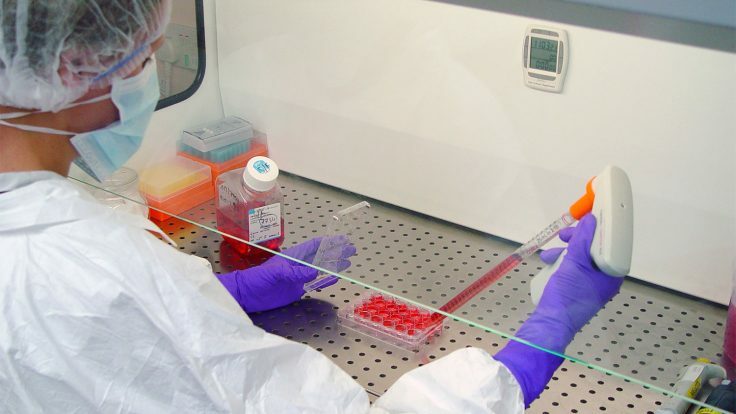 Summary: The antibody specialist delivered another set of impressive results. I had been concerned about a possible ‘revenue gap’ emerging this year following the termination of certain product income. However, these concerns have now diminished — BVXP’s other sales still seem to be growing fast (I estimate at 30%) while management has become more confident about the early contribution from the new troponin product. The group’s financials remain top class and could even be improved if all of the royalties were collected on time. The 25x multiple is understandable, and I continue to hold. BVXP was always going to face a balancing act during this first half. True, October’s full-year results had shown outstanding progress. However, that statement also confirmed product revenue of £1m had ceased, and included some rather cagey remarks about the near-term potential of a new antibody. All told, I was not sure whether a notable ‘revenue gap’ was going to emerge. In the event, this RNS showed a very impressive underlying performance. Revenue and profit both set fresh first-half peaks, and the full year may not see a revenue gap at all. “Vitamin D antibody sales continued at the healthy levels seen in the prior six months and were approximately £0.4 million above the levels in the comparable period. Growth in other antibody sales (progesterone, drug antibodies, contract NT-proBNP) also amounted to around £0.4 million. October’s full-year results said the vitamin D antibody produced revenue of £2,750k and I have assumed such income was split equally between the two halves. I have also assumed the terminated royalty stream generated nothing during this H1, although there may have been some residual income. Anyway, what is clear from my table is that sales of both Vitamin D and Other performed remarkably well during this first half. Even if my assumptions are a tad optimistic, the general picture is one of very welcome advances. I wrote in my October write-up that “modest” in BVXP-speak actually turns into a 20%-plus revenue gain. I am hopeful the same applies this year. I should add that currency movements were not favourable to BVXP during this H1. I reckon somewhere between 50% and 60% of revenue was denominated in US dollars during 2017, and a translation rate of approximately £1:$1.40 for this H1 compares to approximately £1:$1.25 for the comparable H1. This is the second time a customer has owned up to royalty under-reporting — BVXP collected a back-dated £190k during 2014. It appears BVXP relies on its customers and their own internal audits to ensure all owed royalties are actually paid. My sources tell me that BVXP does have the right to conduct its own customer audits, but to date has never taken the opportunity. Perhaps BVXP should now instigate such audits — this latest batch of back-dated royalties was overlooked for up to three years. Still, the back-dated royalties helped the first-half operating profit surge 37% to sustain the operating margin at an eye-popping 79%. The effect on profit from the back-dated royalties was sadly not quantified. But I note administration expenses climbed £140k — which does look substantial when underlying revenue gained £413k. This time last year, BVXP’s admin costs barely moved despite revenue gaining £754k. At least BVXP continues to convert its earnings into cash. I calculate this H1 produced free cash of £3,070k from a £2,822k after-tax profit. The absence of tax payments helped offset an increase to debtors. The cash pile ended the period at £5,589k (109p per share), down £578k following ordinary and special dividend payments that totalled £3,648k. The cash production allowed the first-half dividend to be lifted 25% to 25p per share. The balance sheet continues to be free of debt and any pension complications. “We have mentioned previously the developments of our troponin (chest pain and heart attack diagnostics) project with Siemens Healthineers. In October 2017, we conveyed our expectation that the commercial development of this exciting new product would not gear up until calendar year 2018 and this expectation has been manifest in the reporting period. The latest remarks appear more encouraging than the troponin comments made during October. In particular, the words “exciting“, “confident” and “optimistic” are now being used. “The rate at which this new [troponin] test will be adopted by Siemens customers in hospitals in the EU, Asia and elsewhere outside the US is unfortunately not something of which we have detailed knowledge. Just how much revenue troponin could earn during the current year is hard to say. I am hopeful for £200k — which would ensure 2018 revenue would match that of 2017 were this H1 be repeated during H2. Some City brokers have projected troponin sales could one day top £2m. It is difficult to judge BVXP’s current-year profitability given the back-dated royalties and guesswork involved with troponin sales. 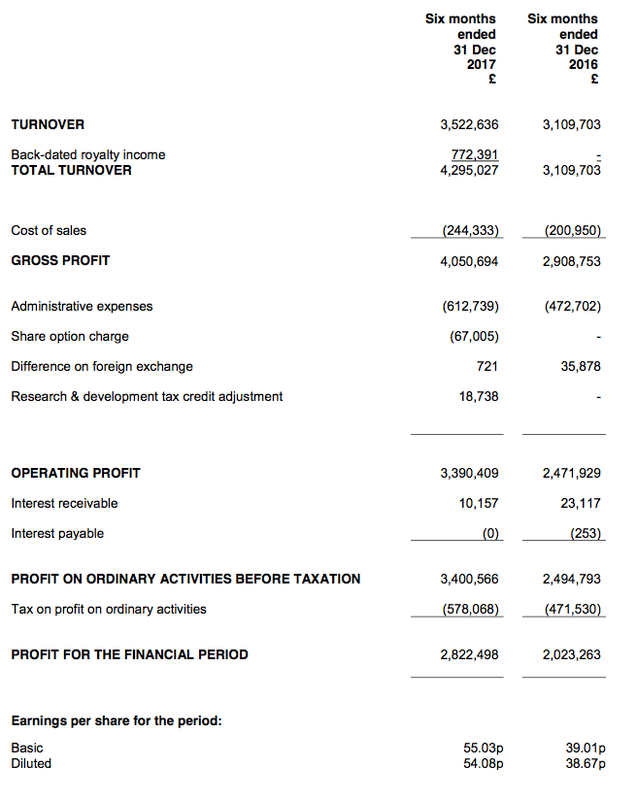 I am happy to re-use my sums from October, which arrived at earnings of about £4.6m or approximately 90p per share. Subtracting the latest 109p per share cash position from the 2,400p share price then gives a possible P/E of 2,291p/90p = 25. The rating stands at a premium to the wider market, but the multiple is understandable if my revenue calculations are correct… and sales of the vitamin D and other antibodies have indeed grown by 30% or so. Needless to say, I still have my fingers crossed that BVXP can continue to extract further substantial growth from its existing products, and that early sales from the new troponin antibody can in fact offset that £1m terminated revenue stream. Meanwhile, the trailing dividend runs at 56p per share to support a 2.4% yield. Disclosure: Maynard owns shares in Bioventix. This entry was posted in Bioventix, My Shares and tagged Bioventix, BVXP on March 26, 2018 by Maynard Paton. I am seeing Peter Tmrw. Excellent results, they have done extremely well to keep growing. The back dated royalties is a big plus thanks to an honest customer. Perhaps they shouldn’t be leaving this to chance! Something I have realised is that this first half seemed to mirror the preceding second half of 2017 — excluding the back-dated royalties and the terminated NT-proBNP income. Revenue during H2 2017 was £4,121k. It appears the terminated NT-proBNP royalties were split £0.4m for H1 2017 and £0.6m for H2 2017. Subtracting the £0.6m from the £4.1m revenue total seen during H2 2017 gives the £3.5m seen during this H1 2018. “Vitamin D antibody sales continued at the healthy levels seen in the prior six months“. So that suggests there was no improvement from H2 2017 to H1 2018, at least for vitamin D.
The upshot? The growth reported within this H1 2018 statement had already been achieved during the preceding H2. While these H1 figures will mean the 2018 full-year results will show decent progress, H2 2018 may not see much improvement on the comparable H2 (adjusting for the terminated NT-proBNP royalties). I am hopeful by this time next year, were vitamin D income to stall, the revenue momentum would be sustained by not insignificant royalties from troponin and further advances from BVXP other products. The only comment I would add is that the introduction of quick cardiac troponin tests in the US is likely to be a protracted business because of the difficulty comparing the different systems.